inflammation and creation of a carbuncle or cyst. The pilonidal cyst can occur because of the excessive and continuous pressure on the sacrococcygeal area. Also, it can make worse an already existing cyst. These pilonidal cysts appear more frequently and are more common in men than in women. They occur between the ages of 16-25 years. The main symptoms are fever, pain in the lower spine, redness and tenderness over the lower spine and drainage of pus from the opening in the skin. There are remedies that can help treat these cysts at home, instead having a surgery or other medical help. Warm bath can help you a lot if you are suffering from pilonidal cyst. It can decrease the symptoms related with pilonidal cyst. Sit in a warm bath and the pain from the pilonidal cyst will be reduced. Also, it will avoid reappearing of pilonidal cyst in the future. Do this regularly. You can add turmeric in your food. It will provide relief from the infections triggered by pilonidal cyst. Also this remedy is beneficial in treating many other diseases. Mix turmeric and water till you get a paste. Apply the resulted paste over the affected area. Use this remedy three times every day. Garlic includes antioxidants that aid in fighting against the germs that cause pilonidal cyst. Epsom salt is also beneficial in the treatment of pilonidal cyst. Add two cups of Epsom salt in a bath tub containing warm water. Soak the affected area in this mixture for 30 minutes to get the benefits. The solution contains sulphate and magnesium, minerals that are helpful in eliminating the toxic materials out of the body. Do this remedy two times every day. Chuna is also known as slaked lime. It is helpful in fighting against the infection caused by pilonidal cyst. Chuna dries out the boil. Add chuna in turmeric powder and apply this mixture on the affected area. You can cover it with a bandage. Apple cider vinegar has many healing characteristics that offer relief from the pilonidal cyst symptoms. Also, this remedy can help you treat nearly any kind of skin infection. It helps in rebuilding the pH balance and eliminating the toxins out of the body. Apple cider vinegar also treats swelling from the pilonidal cyst. Soak a cotton pad in apple cider vinegar and apply it over the affected area. Use this remedy several times every day. Aloe vera can be used in the form of juice. It will treat the skin infections caused by pilonidal cyst. Aloe vera includes many beneficial properties that fight bacteria, virus and other microbes. Consume half a glass of aloe vera juice and use this remedy once daily. 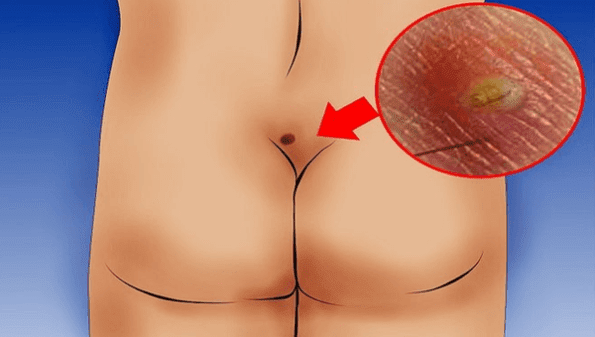 This herb is very helpful if you are suffering from pilonidal cyst. Fenugreek treats boils and inflammation triggered by pilonidal cyst. You can use it in the form of powder and capsule. Consume two capsules of fenugreek in the morning and evening. Also, you can take 1/2 teaspoon of fenugreek and add in 1/2 glass of boiled water. Let it cool before consumption. Regular exercises are recommended, even walking, the easiest kind of exercise. Exercising will provide relief from the pain and stress from pilonidal cyst. Yoga can also help in suffering from pilonidal cyst. Apply warm castor oil over the affected area and cover it with a bandage. Use this remedy three times every day. It includes powerful properties that help you fight against inflammation and encourage the healing process. Tea tree oil functions as an antiseptic and offers healing effect to the affected skin. Apply a drop of tea tree oil over the affected area.